From the earliest periods in history, Asia has been the home to a wide range of precious gemstones that are of the highest quality and clarity. Numerous types of gemstones are mined in different parts of the Asian continent, such as diamonds, emeralds, rubies, opals, sapphires, and spinels. The various countries in Asia have got extensive mines that regularly produce different types of gemstones which can then be used for making jewelry or other products. Items like Vietnamese Sapphires to Russian Diamonds enjoy massive popularity and demand both within Asia as well as in the rest of the world. The various countries in Asia contribute in their own ways to the overall levels of gem production. For instance, India produces numerous types of gemstones like diamonds, sapphires, opals, pearls, moonstones, garnets, emeralds and aquamarines for instance. Afghanistan also has a booming gemstone industry that regularly brings an extensive range of gemstones and semi-precious stones for the local and international markets. With the introduction of a more organized structure to the gemstone industry in Afghanistan, it has now been possible for the local people to mine, produce and export different types of high-quality gemstones. There are four main regions all around Afghanistan that are known to produce rich deposits of ruby, emerald gemstone, lapis lazuli, sapphire gemstone, and aquamarine. India has been a major producer of gemstones from the earliest periods of history. There was a time when the Golconda mines of Hyderabad was the major producer of diamonds in the world and is famed for such diamonds like the Kohinoor and Hope Diamond. Along with diamonds, India is also well known for producing some of the best sapphires and emeralds in the world. Like India, Russia is also an important producer of diamonds in the world. The diamonds that are produced in the mines of Russia are regarded highly for their brilliance. The other countries in Asia that are known for their contribution to the gemstone market include Myanmar, Cambodia, Laos, Pakistan, Nepal, Thailand, Sri Lanka, and Vietnam. Here are some of the types of gemstones that are found in Asia. These gemstones enjoy a perennial demand in different parts of Asia as well as the rest of the world. The diamonds are by far considered to be one of the most important variants of gemstones and they are produced extensively in different parts of Asia. Countries like India and Russia produce a large section of the overall annual global production of diamonds. India is noted for producing an extensive range of diamonds that come in both clear and colored variations. Rubies are bright red stones that have a mesmerizing effect on any onlooker. They have long been used in making jewelry and ornaments. Asia is one of the most important producers of rubies in the world. 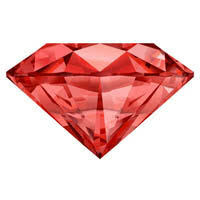 The rubies that are found here are of superior quality and can be used for making a wide range of finished goods. The rubies from Nepal, Myanmar, and Vietnam are known for their most intense color as well as fluorescence which make them greatly valued in all parts of the world. It is the geographic location in which ruby gemstone items are produced that provides them with their unique properties and features. The various mines in Asia where rubies are produced lack the deposits of iron which can, in turn, minimize the color and glow of the ruby stones. The rubies produced in Asia are widely held as some of the best in the world. Jade is a bright green stone that is used extensively for creating different types of ornaments and decorative pieces. Asia is considered to be the largest producer of this stone in this world. Therefore it is no wonder that countries in Asia have always had a thing for the jade stone since the earliest of times. Carvings of jade can also be effectively traced back to the early, prehistoric times when jade stones were used to create ornamental carvings as well as weaponry. Asian Jade stone is mainly produced in Myanmar and China. Ever since ancient times, Asia has been one of the countries that were known for producing large volumes of spinel stones. Even today, most of the spinels are produced in Asia. 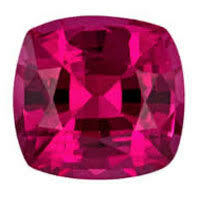 Spinels are large and bright stones that were regarded in high value by the royal families. Due to their similarity of appearance with rubies, spinels were often confused as rubies by people who were not aware of the minute differences between them.